Paint is one of the most inexpensive ways to update your home. Whether you want to go darker, lighter, or use a bright, bold color, you can change the look of a room for little money. It might be tempting to tackle painting on your own, but allowing a professional to paint your home’s interior is in your best interest. A professional painting service can take the headache out of the painting process. Keep reading for 5 reasons why you should consider hiring a painting service. Professional Painting Service: Is It Worth It? Whether you want to change your interior wall colors or change the exterior look of your house, a professional painting service can handle that for you. Not only can they handle the painting, they also can give you guidance on choosing the main colors, finishes, and accent colors. Professional painters paint for a living. They often have years of experience and have honed their skills. They know what type of paint to use for what room, can recommend the best brand and type of paint, and can finish the job so it looks perfect. Who has time to paint their own house? All the prep, the actual painting, and clean-up takes longer than people realize. 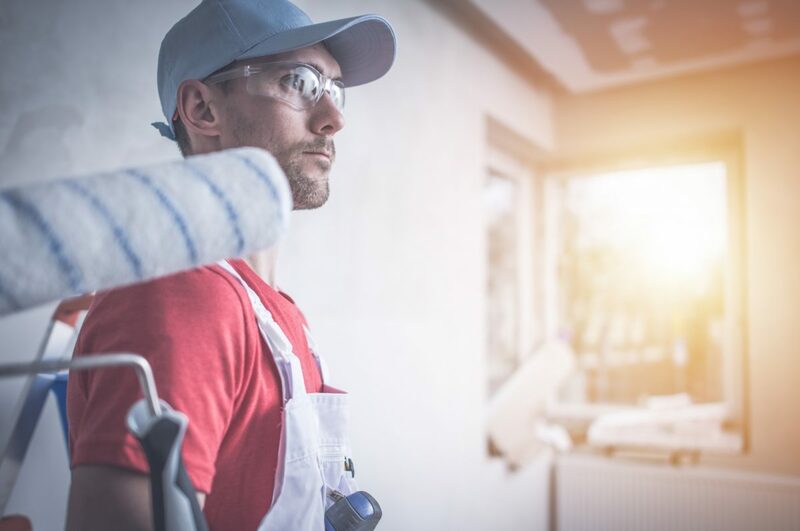 Professionals do this day in and day out and often has a team of painters who can tackle your project much faster than you can. How many times have you painted on your own and had spots on the floor, ceiling, or trim that you needed to touch up or clean up later? Later often takes weeks or months. A professional takes care of all those little spots right away. The right equipment makes a big difference. Having professional-grade paint brushes, rollers, and paint makes your paint job look cleaner. Professional painters have the right tape, paint brushes, and rollers for different surfaces. They also have the proper ladders and equipment to paint high ceilings, walls, or in staircases. Prepping the surface for painting takes up a good chunk of time. Professional painting services can prep the area, fill any holes, tape off areas, and remove switchplates and outlet covers. When they’re finished, they’ll clean up, leaving your home clean and free of any paint drips or stains. The time spent prepping and cleaning alone is reason enough to hire a professional. if you need any repairs to your interior walls or exterior of your home, professional painters can handle those. Filling holes, repairing trim, or replacing wood or siding, they can do it. If you’re going to spend the time to repaint, you might as well get the job done right and fix anything that is in disrepair. The next time you want to update your home with paint, save yourself the time and headache and call a professional painting service. Once you hire professional painters, you’ll never paint your home on your own again. Check out our services and our blog to see what we can do for you. No matter how big or small the job is, we can help.